Dr. Arikian’s therapeutic approach combines cognitive-behavioral, psychodynamic, systems, and mind-body conceptualizations and strategies. Her approach acknowledges the connection between stress, mood, thoughts, behaviors, and physical health and she helps people learn strategies for change in these areas. These strategies may include changing habitual and problematic ways of thinking, hypnosis, lifestyle change, relaxation and other stress management techniques, and changing how we function in relationship to others and ourselves. Areas of psychotherapeutic services include anxiety, depressed mood, relationship problems, insomnia, health problems and health anxiety, adjustment disorders, death and dying, mood disorders (including Bipolar Disorder and anger), pain, personality disorders, stress management, vocational issues, and other disorders and problems listed in the Diagnostic and Statistical Manual of Mental Disorders. Why Visit with Dr. Arikian? During times of transition and stress, we may experience anxiety, depressed mood, and feelings of being overwhelmed. Sometimes we experience worsened physical symptoms such as pain, stomach upset or difficulty sleeping. Dr. Arikian provides the opportunity to explore alternatives in managing life’s problems, find and build on your inner strengths, and learn new skills that may help you both professionally and personally. 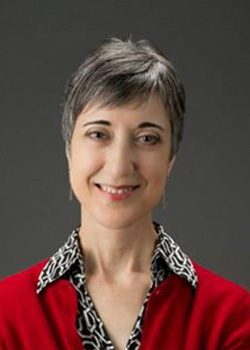 Dr. Arikian earned her doctoral degree from the University of Minnesota – Twin Cities in 2000. She completed her internship at the Veterans Affairs Medical Center in Minneapolis, Minnesota, with a focus on health psychology. Dr. Arikian received her undergraduate degree in psychology at the University of Wisconsin in Madison, where she graduated Phi Beta Kappa. Dr. Arikian is a member of the American Psychological Association, the American Society of Clinical Hypnosis, and the Minnesota Society of Clinical Hypnosis. She is a past board member of the Minnesota Society of Clinical Hypnosis.